When you sign in to a web service for the first time using Microsoft’s Internet Explorer, you’ll receive a prompt that lets you save the username and password information so that you do not have to type them in again on the next visit. What Internet Explorer lacks is a password manager that you can use to browse and manage existing passwords. 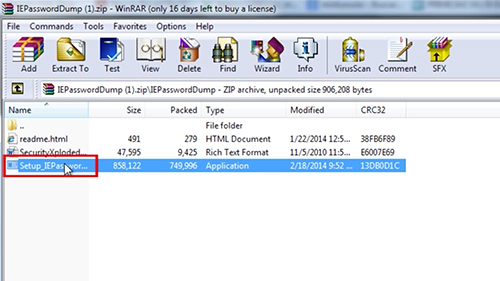 IEPasswordDump is a free program for Windows that you can use to display or save all Internet Explorer usernames and passwords in one go. 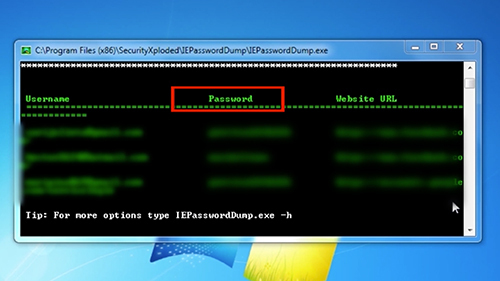 First, open your browser and type in the search bar: “IE password dump”. Click on the first link that says: “Security Xploded tools”. Once you’re on the website, scroll down and click on the “Download” button. 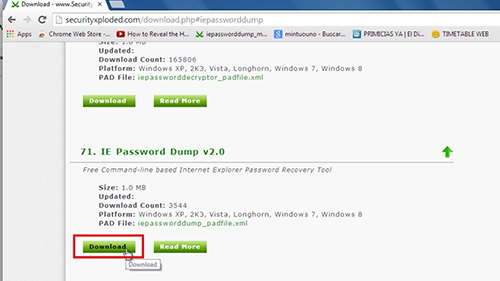 Then choose “IM Password Dump v.1.0” and press “Download”. Press the “Download” button once more. Once the program is downloaded open it and run the installer. Follow the instructions, agree to the terms and conditions and click on the “Install” button. Once completed, click “Finish”. Next open the program. You’ll see the usernames and passwords. Result: Congratulations! You’ve just learned How to Display all Internet Explorer Saved Passwords.